Giant Pandas must be one of the most loved and yet most unsuccessful species ever. They have come to an evolutionary dead-end. They don’t seem particularly interested in their own survival either. They just don’t like to mate and eat only bamboo. 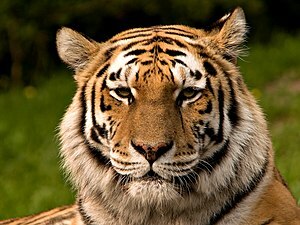 They are not hunted by any predators but there are only some 2000 left in the wild. Apart from looking cute and cuddly they don’t play much part in any ecological balance. But these cubs are worth more than their weight in gold. A panda cub can be rented to a Western zoo for about $1 million per year. Human “conservation” efforts seem to be focused on eradicating successful species and helping the unsuccessful ones. But pandas are incredibly cute. 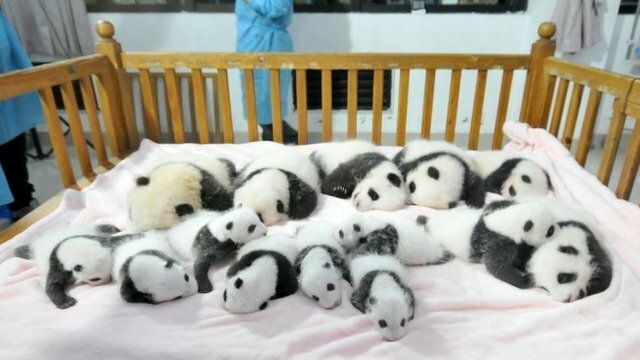 The 14 cubs were artificially bred in the Chengdu Giant Panda Breeding and Research Base in south-west China’s Sichuan province.